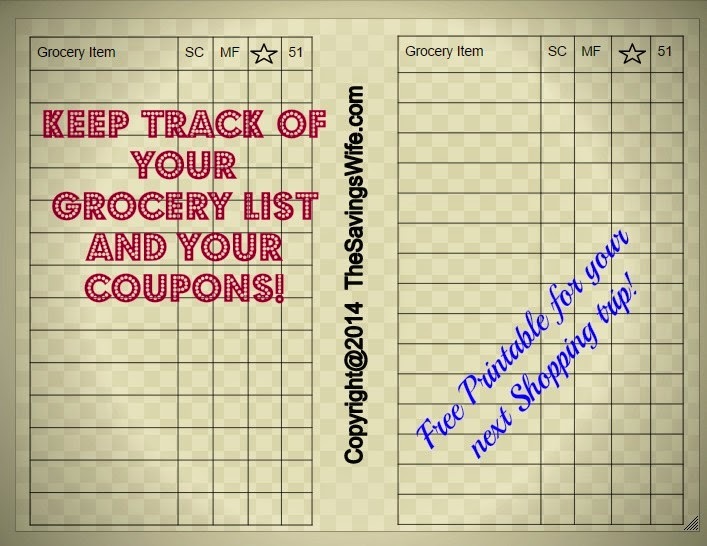 Want a simple way of keeping track of all your coupons and grocery items? Check out this Free Grocery and Coupon Printable to take with you on your next shopping trip. Print this Coupon and Grocery List! To use this handy Grocery list: You can use this with the Meal Planning Printable! Put a check mark in the columns related to the type of coupon you have. Afterwards you will see which items to you need find a coupon for. Get printable coupons!